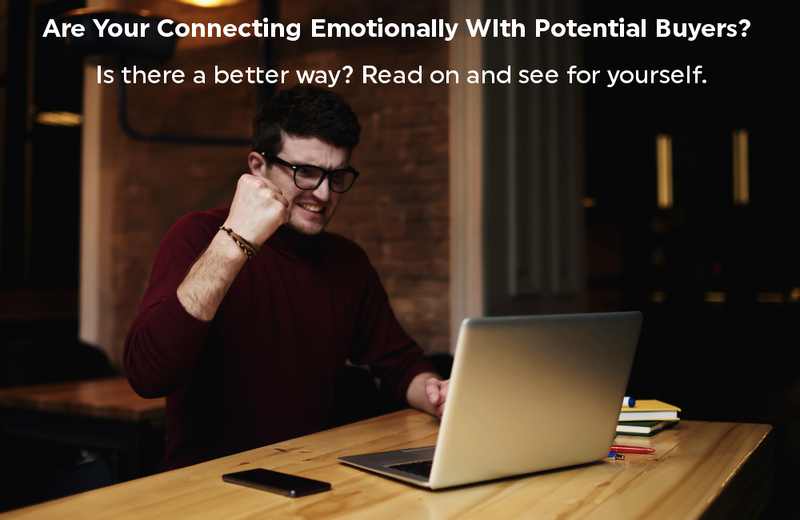 Are you connecting emotionally online? – Sellience Blog – Always be Closing! While the title may be presumptuous, chances are you can relate. Can you relate emotionally? Do you feel frustrated with how your digital marketing is influencing or failing to influence with potential buyers? Does your website help you grow your business, or does it serve as an online brochure? Hmm. Let me ask you a follow-up question, where do most brochures you collect end up? My guess is they go straight into a garbage can after you finally decide to clean up the stack of other brochures you collected along with that one. When it comes to marketing a business online, you have to rely on one-way communication in the early stages. You’re communicating a message, and your potential buyers are hopefully receiving it. Now they have it, but are they emotionally tied to it? If not, how can you find a way to build an emotional bridge? Since the beginning of time, human beings have connected emotionally with certain offerings, which generally relate to their needs. Food, shelter, and water meet basic needs and are requirements for survival. I’m not talking about this level of needs. I’m talking about emotional needs. Storytelling has great power when it comes to sharing information and news, and it can connect emotionally when the story is relevant to a person’s frame-of-mind, level of attention, or how interesting the story is. Yes, there is great power in a story. However, isn’t there an easier way to clearly get attention and even connect on deep emotional levels? The answer is yes, and it is a powerful emotional trigger that all humans respond to if used correctly. The more they can relate to the topic, the more they connect. Simply put, it’s asking questions. Are you using questions for your hooks and headlines to connect emotionally? If not, you may be missing out. For years I was a seasoned sales coach and trainer. My favorite principal was, “if you’re telling you’re selling, and no one wants to be sold.” If you’re asking, however, you may find yourself to be engaging. Getting the other person emotionally vested in the conversation may be the difference between a firm no, and a possible yes. A one-way conversation online only has power when you connect at an emotional level. For example, if you are a business coach and you can help stressed out, anxiety-ridden, executives to flourish, perhaps you use headline questions, “Are you tired of sleepless nights?” A simple question, but to the person who is suffering from stress-induced insomnia they may see you as a source of hope. From there you’re supporting content can help drive a deeper connection. Two things must happen for questions to work. First off, you must be asking questions that your buyers can relate to and connect with on an emotional level. Secondly, you need to be attracting the right visitors who can relate to your message. Let us help you with both of these challenges. Visit Sellience.com or click the contact us button and reach out directly.